Companies large and small are filing more and more trademark applications in China to support product launches. But even companies without immediate plans to sell in China are filing more due to the risks posed by registry pirates including the possibility they will use pirated registrations to interfere with production and export from China by against their Chinese suppliers. ​This article sets out basic information and tips for new filers. 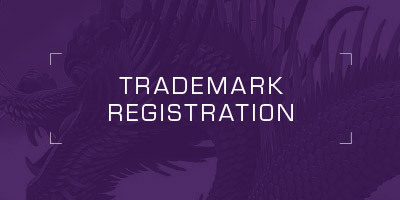 Applications for trademark registration in China may be filed directly with the PRC Trademark Office (TMO) or indirectly through the Madrid System. Filing through the Madrid System offers a number of potential advantages, including lower cost, avoidance of disputes with the TMO over descriptions of goods and services, and protection retroactive to the filing date rather than the date of approval. However, most foreign companies are advised to file applications directly with the TMO due to various limitations in the Madrid System–including the inability to file for goods or services that go beyond those filed in the home country. (See Using Madrid for China – Benefits and Drawbacks). China is a member of the Paris Convention, and consequently, if an application is filed in China within six months of its first filing in another Convention country (the priority date), the filing date in China will be deemed the same as that of that for the first filing. Applicants seeking registration in China that wish to rely on Paris priority are generally required to use the same descriptions of goods and services in their China filings as appeared in their priority filing elsewhere. This can result in a doubling of the eventual costs of registration, as the TMO will frequently issue objections to the descriptions of goods and services on the basis they are “non-standard” (see below). Given these risks, applicants may prefer to forego Paris priority. China permits the filing of a wide range of marks, including sounds, 3D marks and colour combinations. But the vast majority of applications are either word marks, logos or a combination of both. In China, it is generally preferable to register all word marks separately from logos, as this will ensure a wider scope of protection for each element. While it is possible to file for marks in color format, it is normally advisable to file in black and white, as this will ensure protection in relation to all potential color combinations. Chinese consumers are increasingly buying foreign products before their formal launch in the PRC through grey market traders on platforms such as Taobao.com. Where consumer interest is strong, traders and consumers themselves will often devise Chinese nicknames (sometimes several) that the brand owner is later forced to adopt – assuming they have not already been pirated. Companies that are not yet ready to devise and register Chinese trademarks should therefore monitor Taobao and the Chinese media periodically to identify new Chinese versions of their brands names emerge. Given the high levels of trademark piracy in China, it is normally advisable to file for marks covering a wider array of goods and services than would be customary elsewhere. The decision on just how widely to file will depend on the items to be protected, the fame (or expected fame) of the brand and budget realities. To illustrate, applicants in the clothing industry will normally file only for “clothing, headwear and footwear” in class 25, on the assumption that this will ensure protection across all types of goods in class 25. But given the idiosyncrasies of the TMO’s sub-class system, filing only for these three items can leave brands open to piracy in relation to items such as socks, ties, belts, swimwear and other items that are deemed prima facie non-conflicting due to the fact that they fall under different PRC sub-classes within class 25. As in other countries, it is strongly recommended that applicants conduct searches of the TMO’s database of published and pending applications before filing applications. Doing so can ultimately save on cost, and also help to accelerate the registration process by allowing an early opportunity to eliminate potentially conflicting marks, for example by cancelling them for non-use, purchasing them or obtaining consents from their owners. The TMO operates an online database to facilitate searching by the public. The TMO’s database is not guaranteed to be accurate, and it is accordingly advisable to also have searching conducted through private databases, and by professionals that are specially trained in trademark searching strategies. a copy of the applicant’s certificate of incorporation or certificate of good standing or another document issued by a government authority that confirms the existence of the applicant. For individual applicants, this can be a copy of their passport. This article originally appeared in the Mid Year 2016 edition of Managing IP magazine.